Poisoned Pen Press, 9781590589618, 364pp. 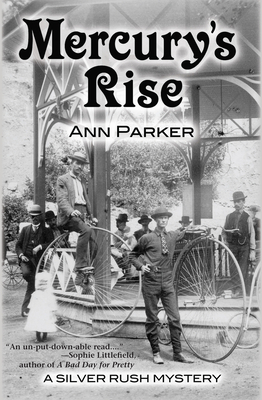 Ann Parker is the author of the award-winning Silver Rush historical mystery series set in 1880s Colorado, featuring saloon-owner Inez Stannert. Books in the series include "Silver Lies," "Iron Ties," "Leaden Skies" and this, the latest, "Mercury's Rise." A science writer by day, Ann lives in the San Francisco Bay Area and is a member of Mystery Writers of America and Women Writing the West."